So I thought I might attempt to write a blog entry,excuse any mistakes my eye sight is all over the place and at times very blurry or my eyes do not focus. About three weeks ago I had my cornea transplant on my left eye. I’m so glad it’s over and done with because I never want to go through it again. To be honest there have been days where i wished I never did go through with it. I have been feeling so frustrated and hopeless, trying to get around each day with low vision, trying to take care or at least be there for the children is hard.But my eyesight will get worse before it gets better and maybe people may not understand why I am complaining and sulking, my other health problems already make me feel useless so this on top is just making me feel worse and we really wont know the full result of the transplant for about two years and even than I’ll most likely need more surgery to try to improve the sight even more.I feel like I have a very long road ahead of me that feels like it just keeps getting longer and longer. I’m missing out on a lot too,even though I may be “there” (at a kids concert for example) I can not see much. I have to pretend for my kids sake that I can see their performance but secretly my heart is breaking because its just something else on the list of things I have missed out on. Joseph was so excited about his preschool Christmas concert and Liz was also excited about her ballet performance.My eyes were so sore and blurry.And they were so happy I was there. I have to try to remain focus on my faith and truly believe that everything is for a reason. I just can not see it yet. Otherwise I think I would completely lose my mind-if i haven’t so already!! Sometimes people say to me ; maybe God will give me a break as it’s unfair how much I have on my shoulders.But I cant help but to think to myself, is God’s will really unfair? Or is it Just with purpose and love? if God’s will for me is to lead me to my salvation and He knows the only way to get me there is with His plan,easy or difficult,for my life…than can we really say it’s unfair when it’s done out of love for our ultimate happiness? In the end I have to believe in the bigger picture. I have to believe life is bigger than me and that we are all connected together. That all of us together with God are or is the bigger picture. And maybe as my eyes slowly heal and my sight becomes more focused I will see God’s plan a little clearer than before in more than one way. All I can do now is just wait. "We always find that those who walked closest to Christ were those who had to bear the greatest trials." 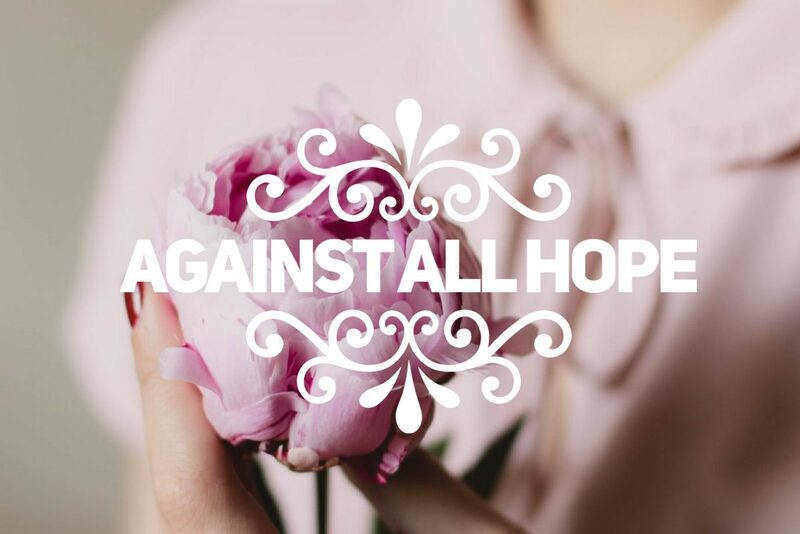 Enter your email address to subscribe to Against All Hope and receive notifications of new posts by email.